Morocco participated, in good faith, in the implementation of the Settlement Plan proposed, in 1991, by the United Nations to solve the dispute over the Sahara. However, the intricate and complex nature of the identification process, the deliberate will of other parties to exclude important components of the sahrawi tribes from this process, as well as the fundamental differences that characterized the positions of the parties on important aspects of the Plan, led the Secretary-General and the Security Council of the United Nations to conclude on the inapplicability of the Settlement Plan. Accordingly, the Secretary-General underlined in his report S/2000/131 of February 17th, 2000 that after nine years “it has not been possible during this period to implement, in full, any of the main provisions of the United Nations Settlement Plan, with the exception of the monitoring of the ceasefire", due to “fundamental differences between the parties over the interpretation of its main provisions”. To implement this recommendation, Mr. James Baker, Personal Envoy of the Secretary-General, held in the year 2000, in London and in Berlin, a series of consultations, during which he invited the parties to consider a solution of compromise, deemed as the “3rd Track”, and asked them to “begin negotiating a political solution that could settle the dispute over the Western Sahara” (Report S/2000/683 of 13 July 2000). While presenting the draft Framework Agreement, (Baker Plan I) in June 2001, the Secretary General and his Personal Envoy considered that the said plan “offers what could be the last chance for the upcoming years” and exhorted all concerned parties to “seize this opportunity, for it serves the interests of the population of Western Sahara as well as the countries of the region”. Through its resolution 1359 of 29th June 2001, the Security Council confirmed this recommendation and therefore «encouraged the parties to discuss the draft Framework Agreement, to negotiate any changes they would like to see specifically in this proposal, and to discuss any other proposal for a political solution, which may be put forward by the parties, to arrive at a mutually acceptable agreement". 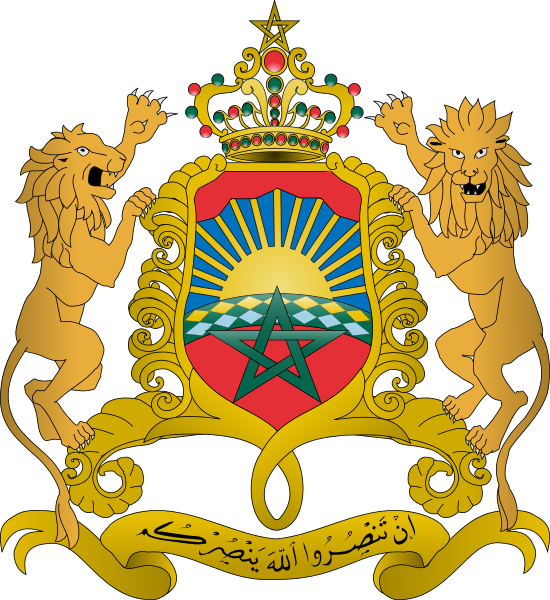 In response to this resolution, Morocco accepted the draft Framework Agreement, as a basis for negotiation, in order to settle this regional dispute once and for all. However, Algeria and the Polisario rejected this proposal and refused the negotiations, proposed to them by the Secretary-General. Algeria went so far as to submit, on the 2nd of November 2001, to Mr. Baker, in Houston, a proposal whereby the territory and population of the Sahara would be partitioned. Needless to say that this proposal goes thoroughly against both the principle of self-determination and the myth of “the sahrawi territory and people” which have always constituted the basis of the position, at least the officially declared one, of Algeria regarding this dispute. It is worth noting that Algeria deliberately left untold Baker Plan I and the Algerian proposal of having the territory partitioned, an important stage that marked the process of resolving the issue within the United Nations. Following these important developments, Mr. Baker introduced the “Peace Plan” (Baker Plan II). By its resolution 1495 of July 31, 2003, the Security Council conditioned its support for this plan, with the parties’ approval. However and due to some fundamental divergences between the parties concerning the second Baker Plan, the condition set by the Security Council for its support was, de facto, not met and therefore rendered it null and void. In this context, the Security Council, through its Resolution 1541 of 29 April 2004, clarified, in an unambiguous way, the approach advocated by the international community for the final settlement of the question of Sahara, as consisting solely of a negotiated political solution. The Security Council also placed this dispute in its actual regional context, while calling the States of the region to cooperate, for the sake of solving the dispute, with the Secretary-General and his Personal Envoy. Following the resignation of Mr. James Baker in June 2004, Mr. Kofi Annan appointed Mr. Alvaro De Soto to succeed him, entrusting him with a mandate to continue working with the parties and States of the region in order to reach a mutually acceptable political solution, with no reference to Baker Plan II. This decision generated a radicalization tendency in the Algerian position, illustrated particularly by the refusal to cooperate with Mr. De Soto and by the persistent demands to have him replaced. Following Algeria’s refusal to cooperate with his Special Representative, Mr. Alvaro De Soto, the UN Secretary-General appointed in July 2005, Mr. Peter Van Walsum as his new Personal Envoy for the Sahara. The Secretary General entrusted him with a mandate to “evaluate the situation and search, with all the parties, the neighboring States and other protagonists, for the best way to overcome the present political deadlock”. (Letter of the Secretary-General S/2005/497). Accordingly, M. Van Walsum presented, on January 18th, 2006, to the Security Council his vision of the solution of the Sahara issue. He carefully examined the situation and made an analysis of the reality surrounding this dispute, calling upon all parties to engage in negotiations. In this regard, he exhorted the international community to “convince Algeria to participate in the negotiations because it holds the key of the solution”. This approach was confirmed by the UN Secretary General in his reports respectively in April and October 2006 (S/2006/249).